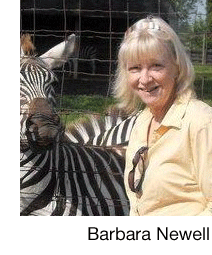 Barbara Newell has been a freelance writer since 1998. She worked in engineering at Motorola and since 1980 has owned two businesses. She recently retired from her professional career with over two decades as a State of Florida Certified Home Inspector. Barbara has learned much over the years, especially during the time her son, Logan, battled childhood cancer (1992-1997). He is now a grown man and they team up on occasion with her writing and his photography to produce reader-captivating articles.